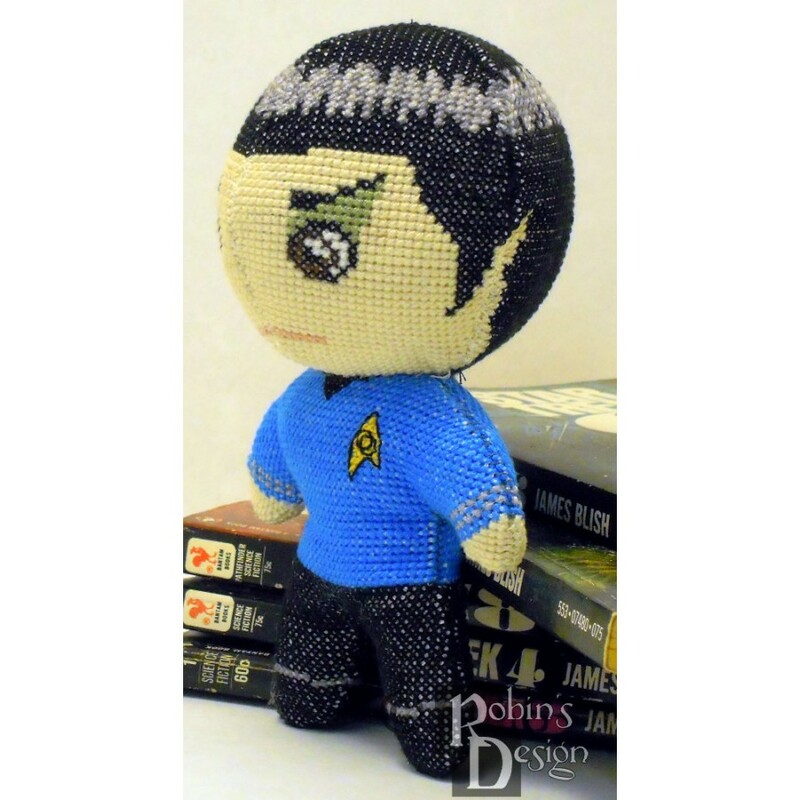 Inspired by the classic Star Trek, is this little cross stitched doll. 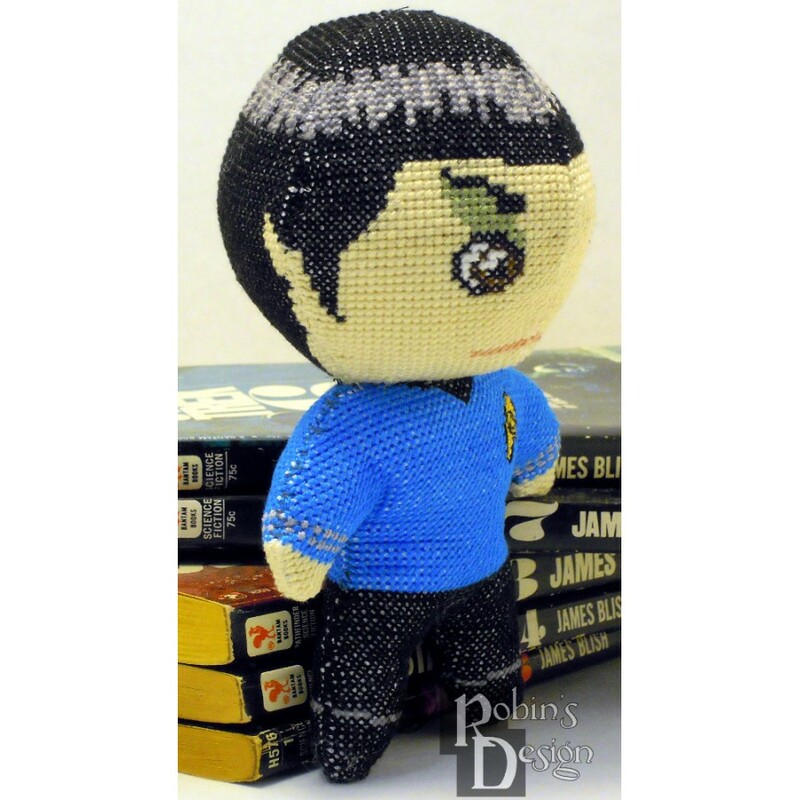 Spock is wearing his uniform and looking a bit interested with one eyebrow raised. Who says that cross stitch is only good for flat things? 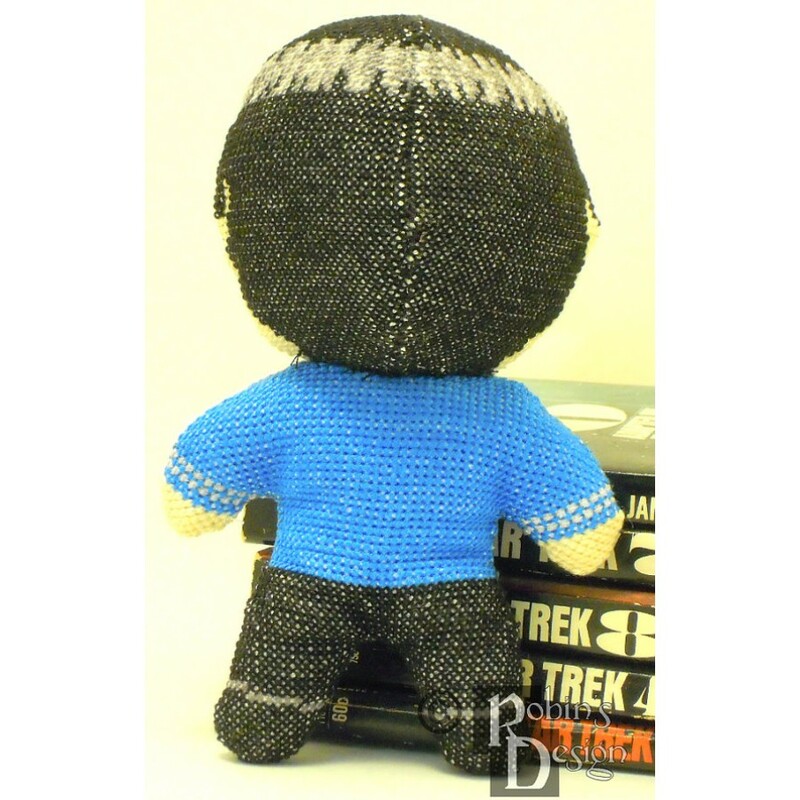 Now you can stitch a doll using cross stitch for the details. Finished size is approximately 6" tall x 4" wide from fingertip to fingertip when worked on 14 count fabric (175 x 160 stitches) The image is composed of 13 colors. THIS IS NOT A KIT. 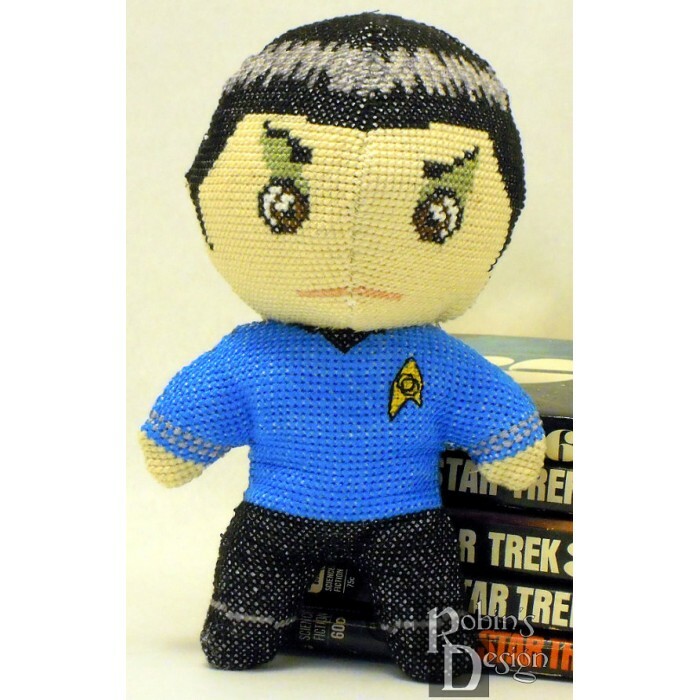 THIS IS NOT A FINISHED DOLL.